Rising high above the Los Angeles skyline in Brentwood is a museum with one of the most impressive art collections anywhere. To get there, guests are asked to leave their vehicles behind and catch the three-car cable pulled tram that ascends and descends the hill every day. 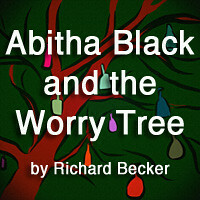 The winding route takes five minutes. Almost 1.3 million people take the journey every year to see one of the finest collections of pre-20th century and 20th century European and American art. Housed in five exhibition pavilions that make up the campus, the Getty Center itself is a work of art, meticulously designed by architect Richard Meier. Meier took special care in considering how people would arrive and orient themselves. The museum itself extends south along one of two ridges that converge to make up the campus. Once they arrive, they have an immediate choice to explore the grounds or enter the museum through the three-story cylindrical lobby that opens onto the museum courtyard, which is surrounded by those buildings. Although not written for the Getty Center, the timeless Tolkien quote conveys the right sentiment. This is the kind of place to wander for hours and lose yourself despite never being lost. Around each and every corner of every circling pavilion, the work of master artists, painters, artisans, and craftsmen are everywhere, usually with statues and artifacts on the first floors and paintings on the second floors. With many beginning in the North Pavilion, guests will find art, sculptures, and illuminated manuscripts. The majority of the collection in this pavilion pre-dates 1700, with an emphasis on medieval art. After transversing the lower and upper levels, a sky bridge connects the North and East pavilions. It is in the East Pavilion where visitors will find increasingly familiar artists, with Dutch, French, Flemish, and Spanish paintings as well as sculpture and Italian decorative arts dating from 1600 to 1800. 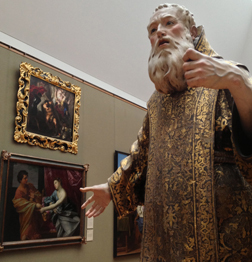 The highlight of the collection, however, is the 17th century Baroque art. Immediately between these buildings and easily missed while wondering into the South Pavilion is a small standalone building that holds what the Getty Center calls The Family Room on the first floor. It is one of several places where the Getty lives up to its mission to inspire curiosity about the visual arts, inviting younger visitors to construct their own interpretation of an illuminated manuscript, build tube structures, and enjoy treasure hunts. The Getty Museum is evolving on site and off site with apps. Further back, however, is another Getty Center rarity. The South Pavilion contains the museum's 18th century paintings and a majority of the museum's European decorative arts collection. What makes the collection especially interesting is that some of the exhibits are done up in finished rooms, elaborately furnished and paneled. It was one of the Getty Center's interactive exhibits that inspired The Life Of Art, an iPhone application that details how four decorative works maintained at the museum came together, with various artisans each adding their expertise to create the elaborate furnishings. The app, much like the exhibit, includes a lidded bowl, silver fountain, side chair, and wall light. The application isn't exclusive. The J. Paul Getty Trust has produced other free apps, including one to coincide with its exhibit Florence At The Dawn of Renaissance. The visiting exhibit is tied to how Florence flourished in the 1300s and helped set the stage for the Renaissance. In addition to its own apps, other developers have created some. In keeping with the desire to inspire, several other apps have been undertaken by other developers. In 2001, Toura created an app that featured highlights from four exhibits. And another by the same developer features 150 stunning works at the collection. It is the only one that requires a purchase, but does include some of the famed paintings from the West Pavilion, including Van Gogh. Even more remarkable is the museum's recent exhibit on Pinterest, with almost 1,700 works. Still, even if these drawings, paintings, and photographs capture representations of the work, there is nothing like the real thing. The fountains, architecture, cactus garden, and central garden designed by artist Robert Irwin all converge to transport anyone away from Los Angeles for a few hours or even a day. The Getty has several options for eating. In addition to light fare snack carts, the center has a restaurant and semi self-serve cafe (pizza oven and hamburger/chicken grille). While the restaurant menu seems pricey at a glance, the preparation and presentation is exquisite, as fine as any leading Los Angeles eatery. 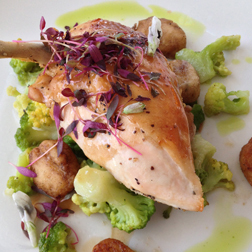 Plan to eat in, with dinner equally distinguished. The Getty Center In Los Angeles Rises To 9.9 On The Liquid Hip Richter Scale. 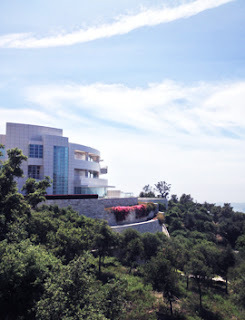 The Getty Center and Getty Museum has been a favored place to visit in Los Angeles since it opened. Given the museum waives its admission like several Los Angeles museums and art galleries (there is a modest $15 for parking), there really isn't any reason to miss it. For a complete overview of travel accommodations in Los Angeles, compare top travel deals at Expedia.com. The Getty is especially close to Santa Monica (and you can avoid any highways). 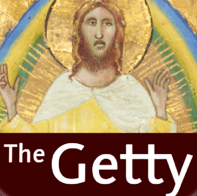 For a virtual tour of the Getty, you can find The Life Of Art, Getty Museum Highlights, Florence At The Dawn of Renaissance, and Pacific Standard Time on iTunes. Three of the apps are free.